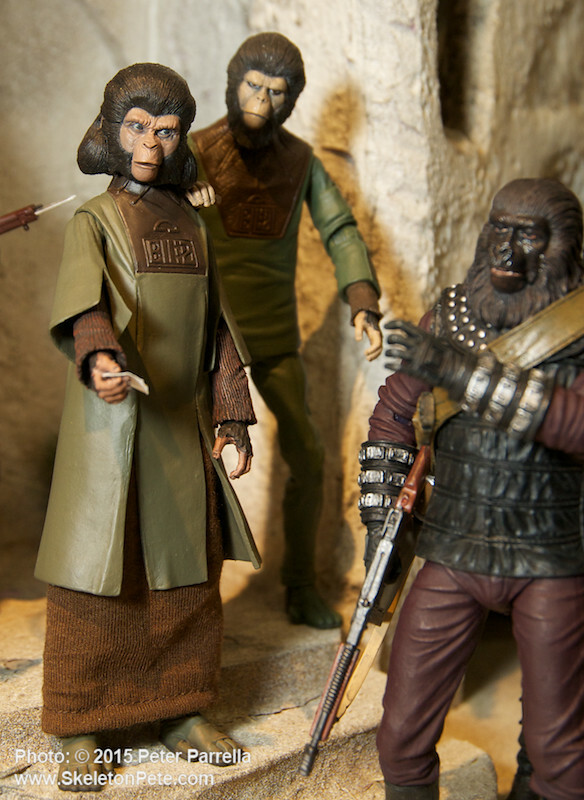 The extraordinary sculpt work produced for NECA’s (National Entertainment Collectibles Association) classic Planet of the Apes (1968) action figures truly imbues them with the personality of their on-screen analogs and is what makes them some of my favorite collectibles. 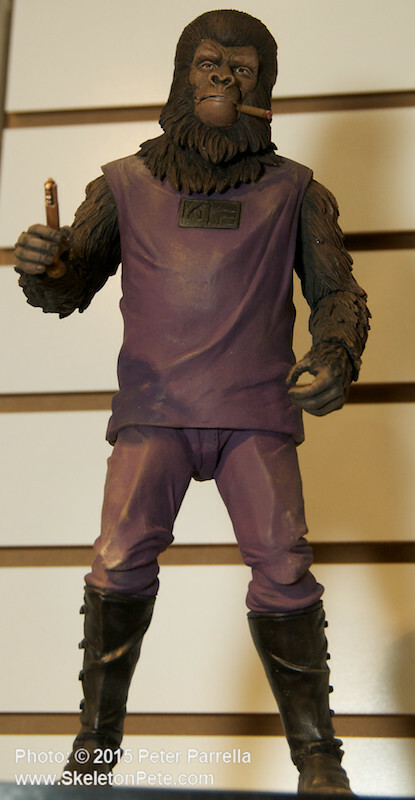 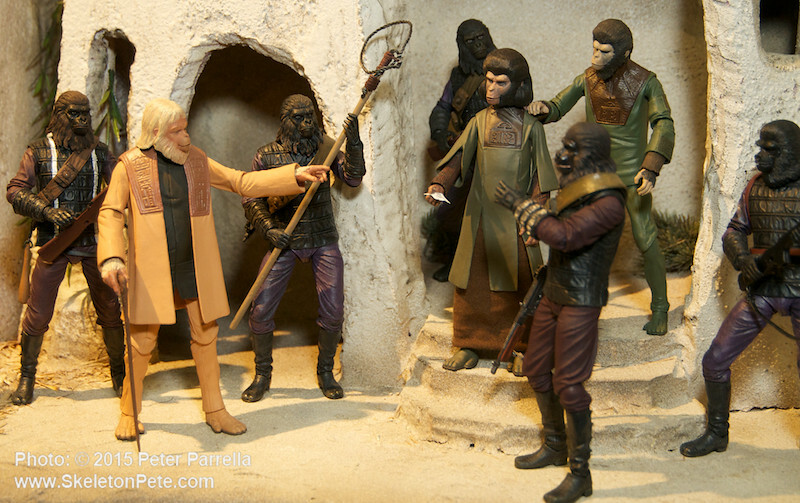 This week the toy company brings another key piece to original PotA fans in the form of the The Lawgiver Statue. 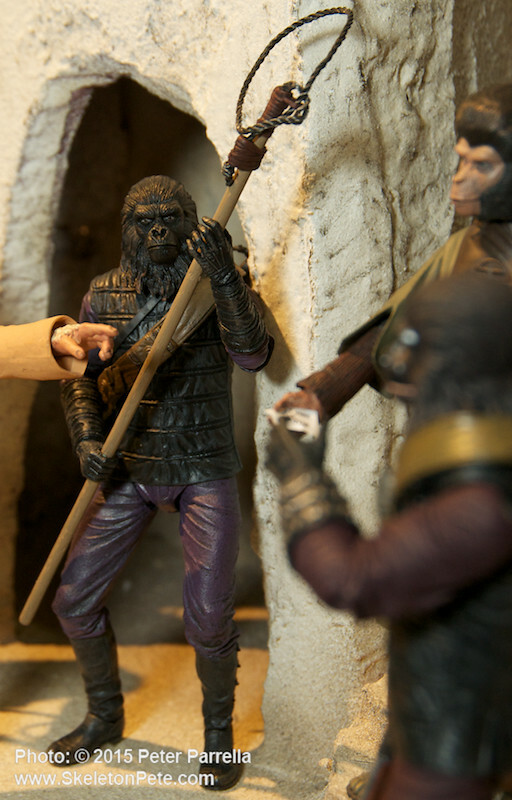 The visage of the wizened orangutan was featured at NECA’s New York International Toy Fair 2015 booth as part of the jaw dropping diorama pictured below. 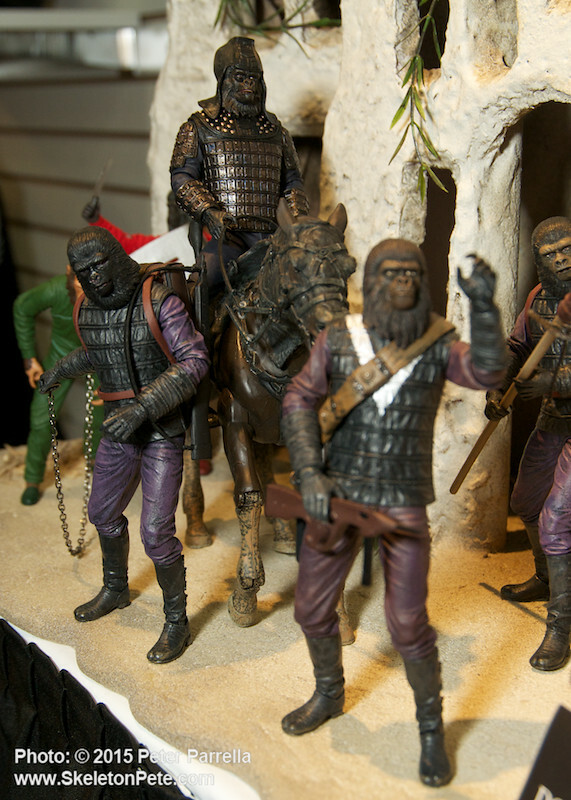 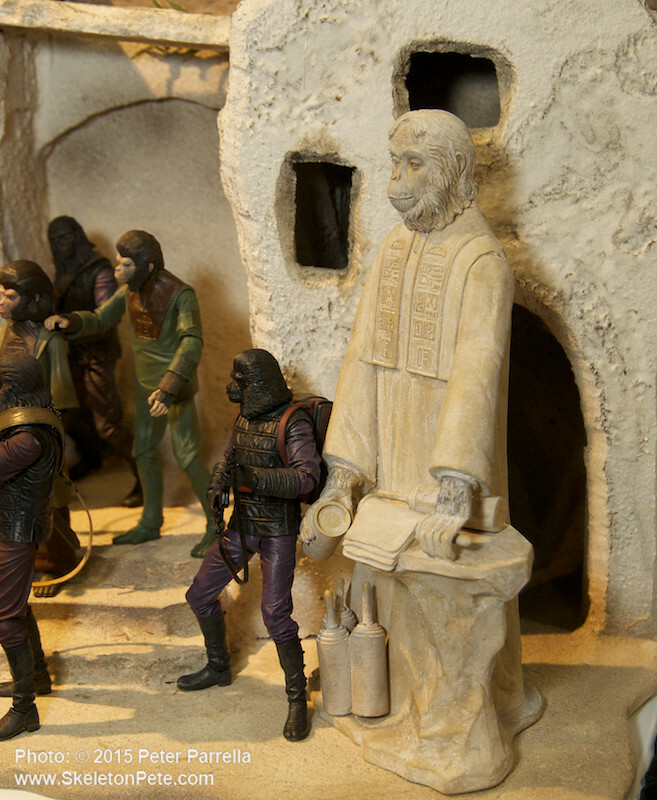 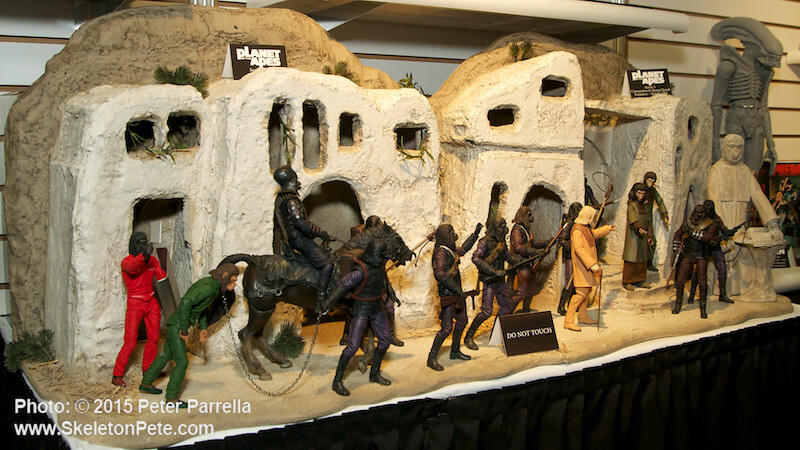 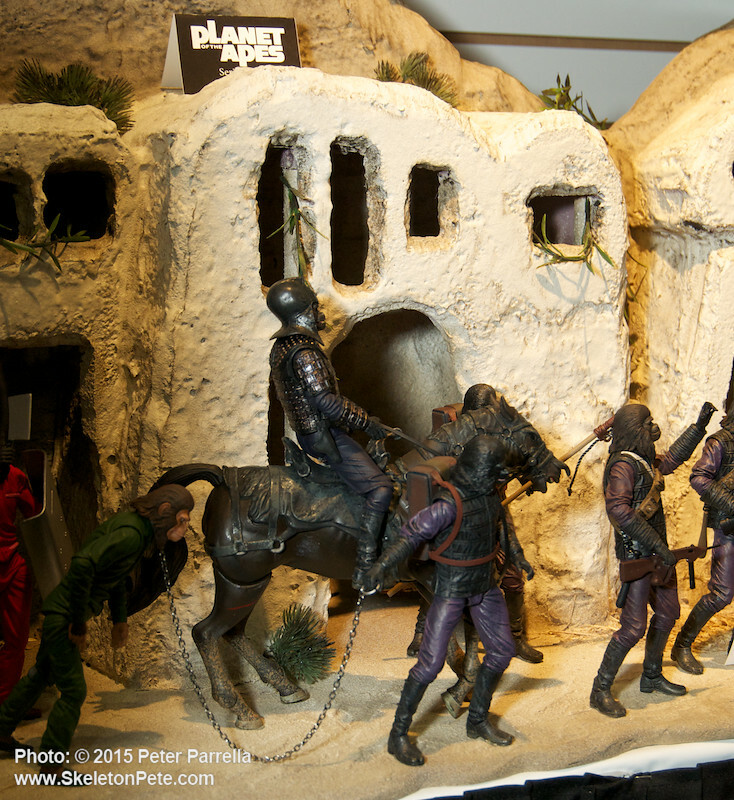 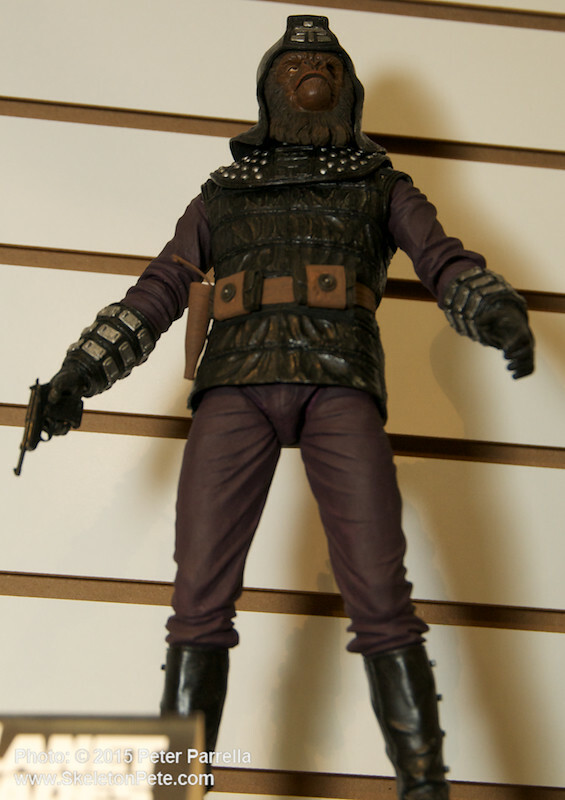 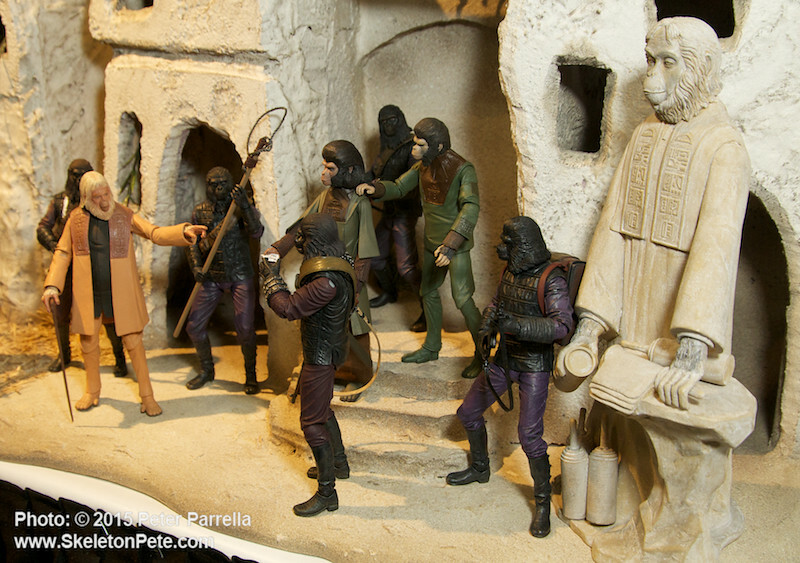 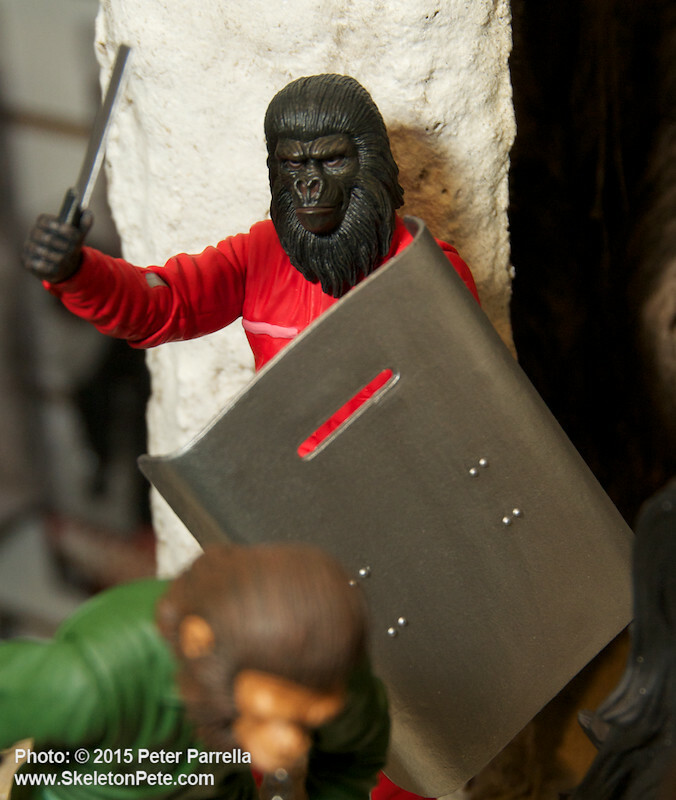 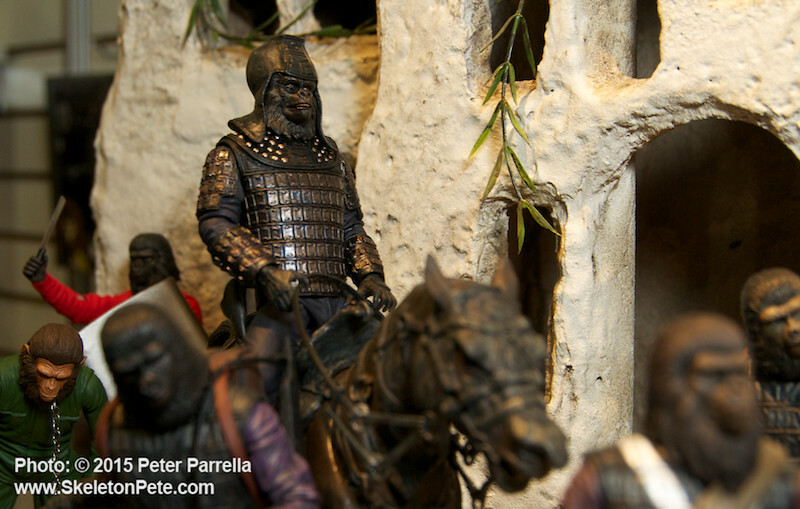 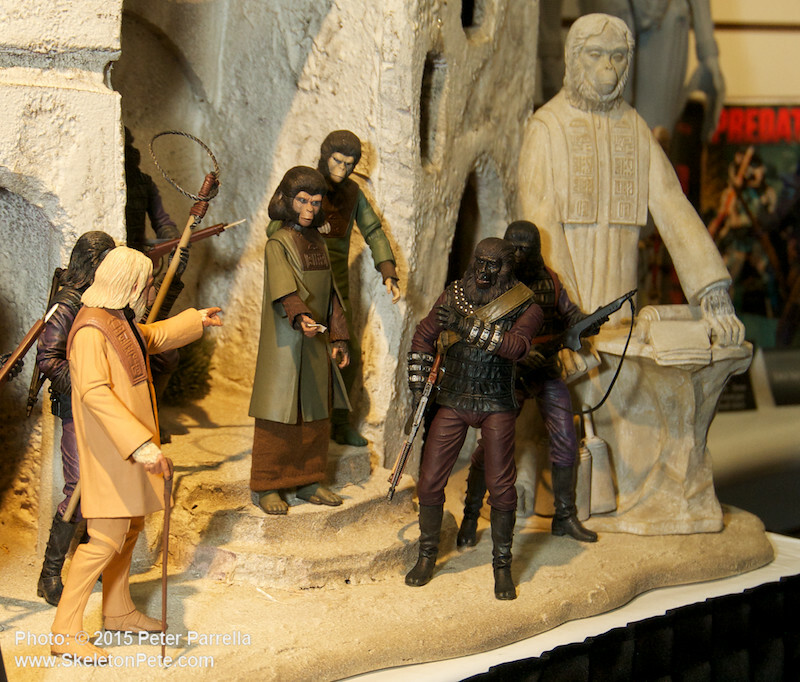 At Toy Fair 15, NECA presented an amazing setting for their classic “Planet of the Apes” action figures. 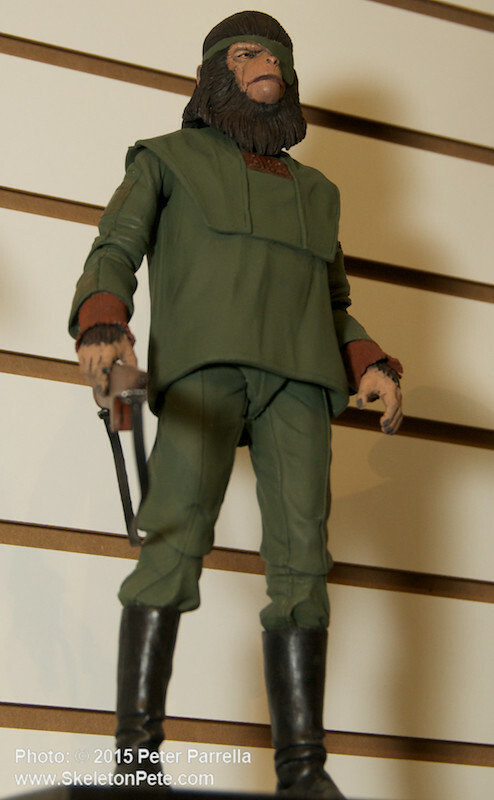 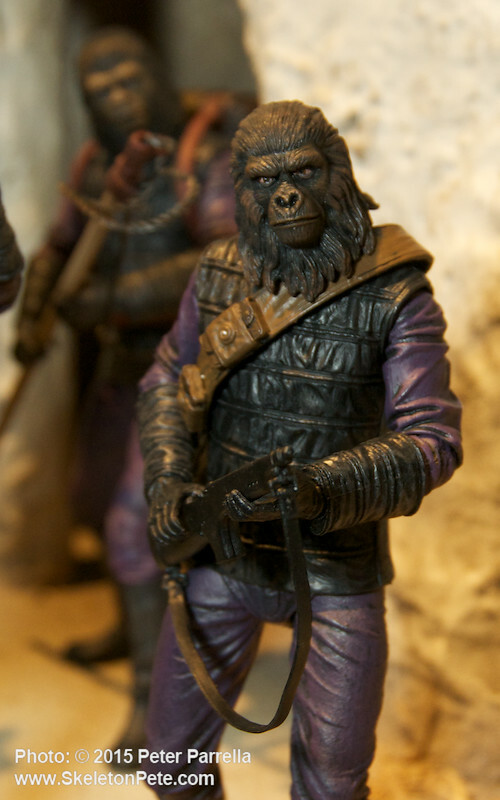 At a foot tall, the highly detailed resin statue is scaled proportionally to the toy maker’s classic Apes 6” action figures. 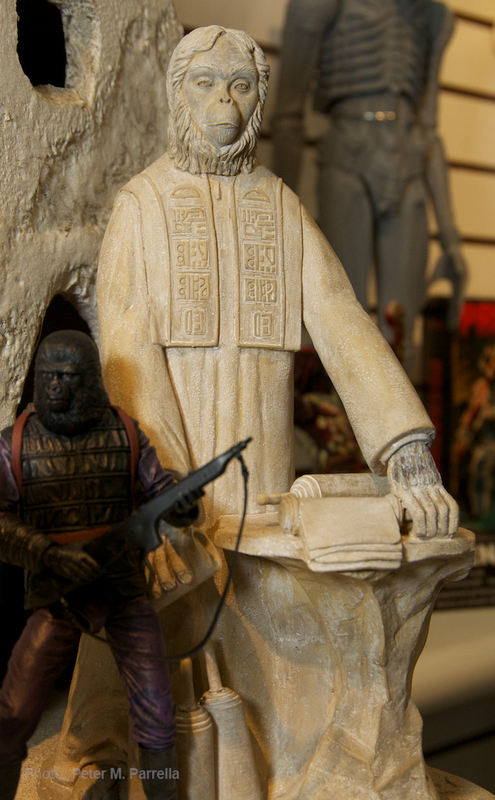 As you can see it is a perfect compliment to any Ape City tableau. 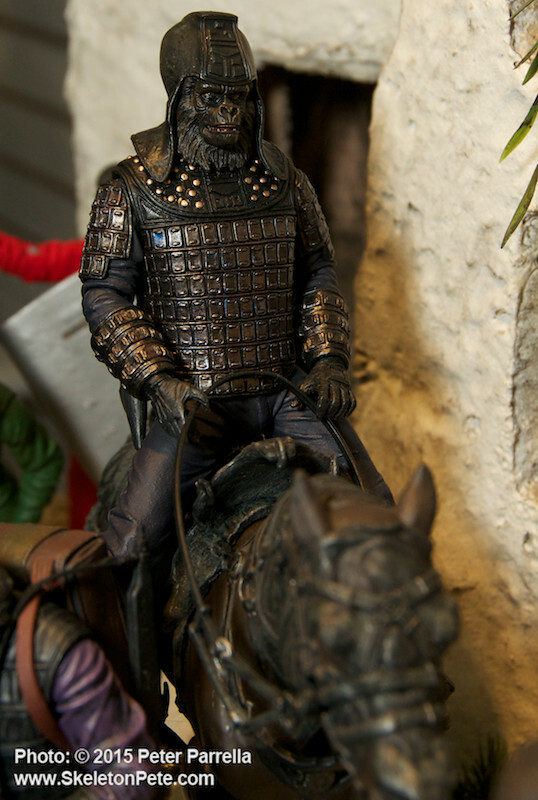 Word to the wise…, it’s expressly limited to a single run of 1700 pieces. 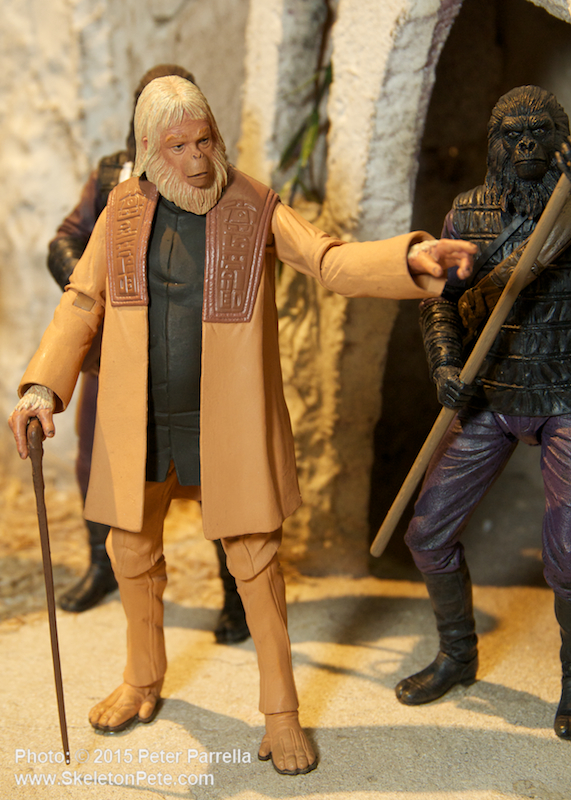 NECA’s 6″ Dr. Zaius action figure doles out a few rules of his own. 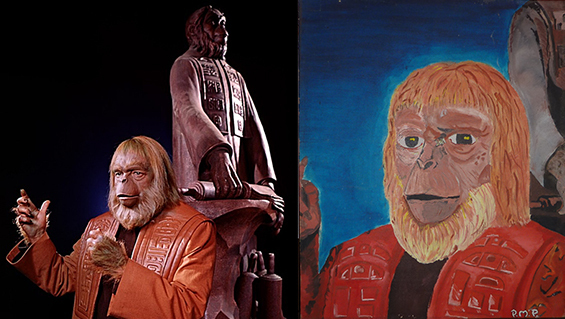 Dr. Zaius publicity photo inspired this teenage artistic endeavor.